Most major cities are known to be hubs of auto mobile congestion, unfriendly to most any other form of transportation. Those cities are perpetually gridlocked, clouded in a shroud of grey smoke, and generally an unhealthy place to live for most of inhabitant. But that’s not the case in Montreal, which has an organized form of transportation chaos that seems to work — somehow — for everyone in the city at all times of day. Visitors to Montreal are mesmerized by the city’s slow-moving gridlock that consists of more than just single family vehicles travelling to or from work throughout the day. Indeed, the city’s streets are an organized chaos of vehicles, people on bikes, and plenty of pedestrians. Though this does result in a crowded street and a slower commute from point A to point B and with the notion of people’s bad driving traits, many visitors are amazed at just how well it works. Bicycles routine dart in and out of traffic, behind and between cars, and live to tell the tale of their commute home. And pedestrians watch traffic with a careful eye and do their own darting between the cars on the road. And all the while, drivers are mostly calm about this fact — with horn honking generally more rare than in Canadian cities of comparable size (here’s looking at you, Toronto). 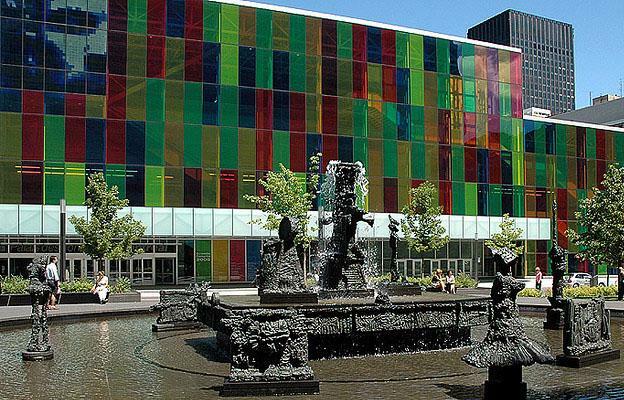 This may be due to the unique aspects of Montreal’s layout, as well as some of the interesting programs employed by the city to encourage alternate forms of transportation. Indeed, Montreal is a city where one does not necessarily need a car — and perhaps those on the road are cognizant of that fact and willing to work with the many people who eschew traditional vehicle ownership for something more easy to afford and maintain. 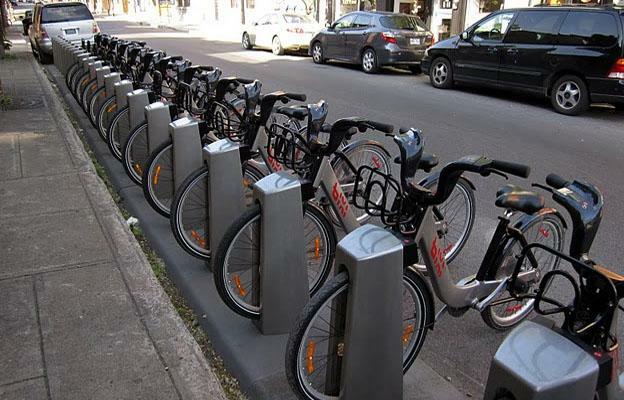 Perhaps due in large part to its very French, very European influences, Montreal’s urban culture is one that welcomes bikes and even encourages them to relocate within the city confines. This can be best seen in the city’s vast network of separated bike lanes. While many cities would simply paint the lines and colour markings onto an existing street in order to create a bike lane, Montreal takes it one step further. Bicycle accidents are prevented in Montreal by a series of bike lanes that feature actual medians between the vehicular traffic on the city’s streets and the bicyclists who parallel that traffic. This ensures that no unruly driver accidentally bumps the wheel — or simply forgets to look at traffic — and finds themselves in a bike lane where real damage and injury can be inflicted upon riders. And a bike rental program allows anyone in the city to rent a bike by the hour — or by the day — and leave the car behind. Given the recent price of fuel, that might be an option more people are considering. Perhaps some of the drivers on the road have even done it, which might explain their exceptional indifference toward bikes and pedestrians in their view. Either way, Montreal is a great place to ditch the car and get to work via bike — without risking bodily injury or deafening car horns the entire way to the office. Helen Rousel, the author of the article “Sharing the Road in Montreal: A Surprisingly Pleasant Experience” is a sociology graduate who lives in Toronto. Helen, loves to write on-line about socio-economical issues that have risen out of the human migration from the country side to the cities.